After the COTA practice last night, I stayed on a bit longer to paint up my car for the CTSCC series. And this is the result! 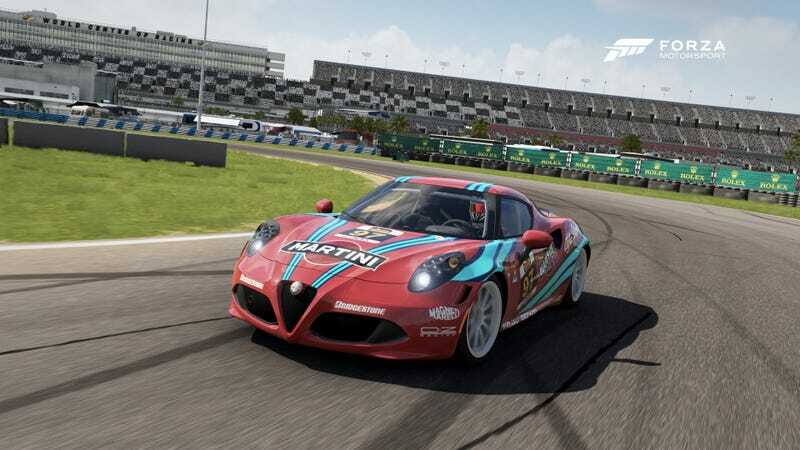 I basically copied the design from the old 155 DTM car and made it work for the 4C. Turned out better than I thought it would.